I’ve got a review over at BookPage of Ian Lendler’s Saturday (Neal Porter Books/Roaring Brook, July 2016), illustrated by Serge Bloch. That review is here. 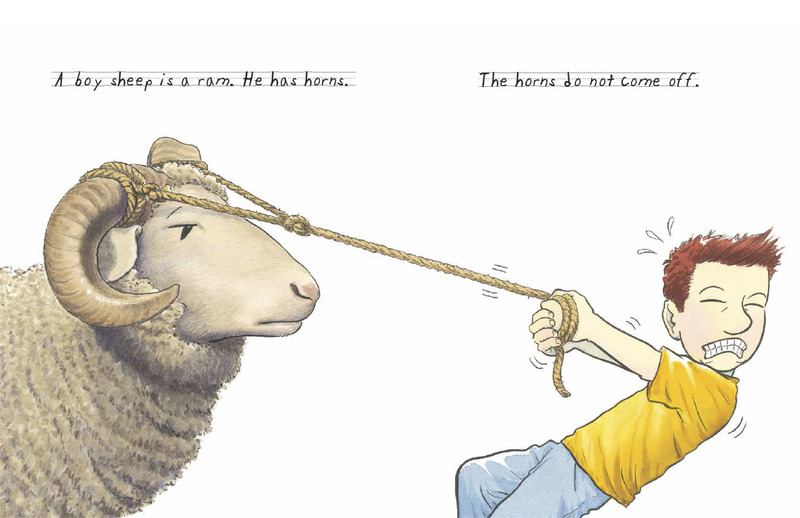 Below are some spreads from the book; I always like to see Serge’s art. Over at Kirkus today, I’ve got Randy Cecil’s Lucy (Candlewick, August 2016) on the mind. 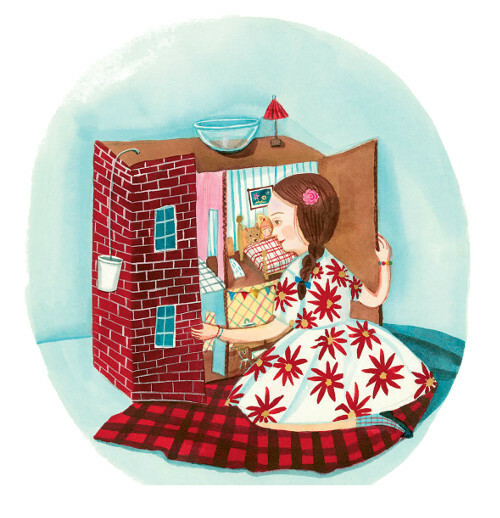 Last week, I wrote here about Sandol Stoddard Warburg’s The Thinking Book (AMMO Books, May 2016), illustrated by Ivan Chermayeff and originally released in 1960, as well as Giselle Potter’s This Is My Dollhouse (Schwartz & Wade, May 2016). Below is a bit of art from each book. 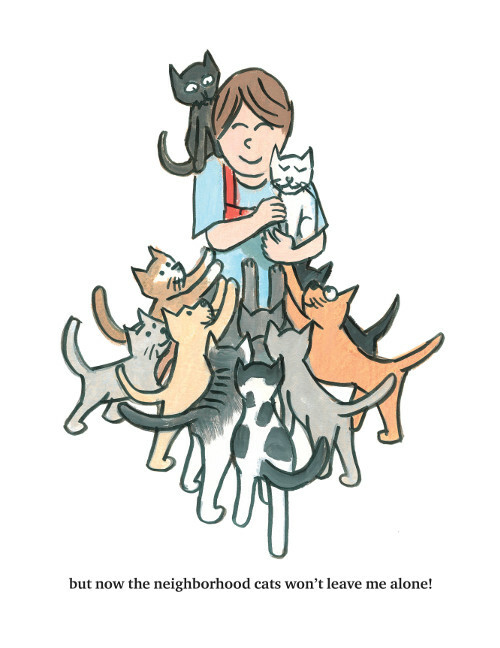 Here’s a bit of art from the book so that you can see more for yourself. 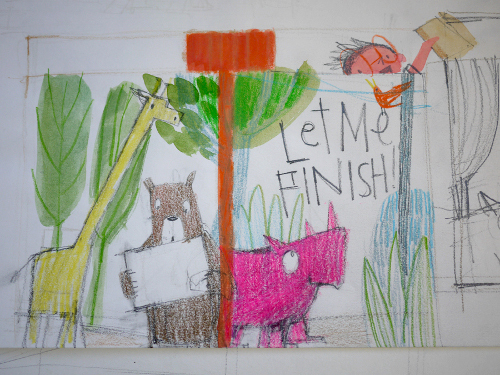 Today’s post is a bit of a sneak peek at an upcoming picture book from Groundwood Books. Geraldo Valério’s Turn on the Night will be out this September, but I’ve got a few spreads from it today. This is the wordless tale of a girl, at night, who’s fallen asleep, book in hand. This book looks very similar to Valério’s very story. Suddenly, the creature in the pages of the book leaps out through the window, and the girl is nowhere to be seen. Readers realize she has become the wolf-like creature who has leaped out of the house. 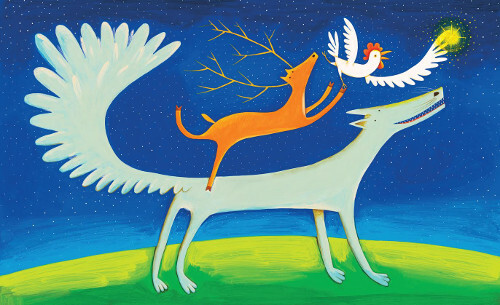 The following pages show her as the wolf having a night-time adventure with the rooster just outside of her home, as well as a deer they meet. They fly to a star, the rooster grabs it, and the wolf returns to her home, lighting up the stringed lights around the headboard on the girl’s bed — really, he lights up her entire room. There, suddenly, is the girl again, sleeping happily. It’s a simple, but magical, plot with Valério’s rich colors; the palette is dominated by deep blues and lush greens. He captures with a seeming ease the euphoria of dreams of flight, as well as the cryptic nature of dreams, even ones that leave you with a smile on your face. The Publishers Weekly review writes that there is a “giddy sense of possibility” in this story. Indeed. Here are a couple more spreads. Enjoy! 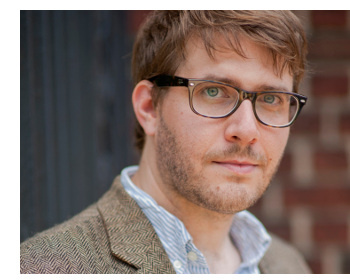 Over at Kirkus today, I talk to novelist Jonathan Auxier, pictured here, about his newest book, Sophie Quire and the Last Storyguard (Abrams/Amulet, April 2016). Photo of Jonathan used by his permission. Falling (published by Pantheon in June) is sub-titled A Daughter, a Father, and a Journey Back, and it tells the story of discovering a lump under his five-year-old daughter’s ribs and her subsequent diagnosis of cancer. With tenderness, wit, and precision, he writes about the changes in life brought about by the pediatric cancer, outlining his daughter’s treatment and even post-treatment, and the hopelessness he felt as a parent. But, as you can see in our chat below, the book is also infused with a spirit of hope (and, fortunately, his daughter is also now cancer-free). As the Publishers Weekly review notes, it’s a memoir that is poignant but never melodramatic. 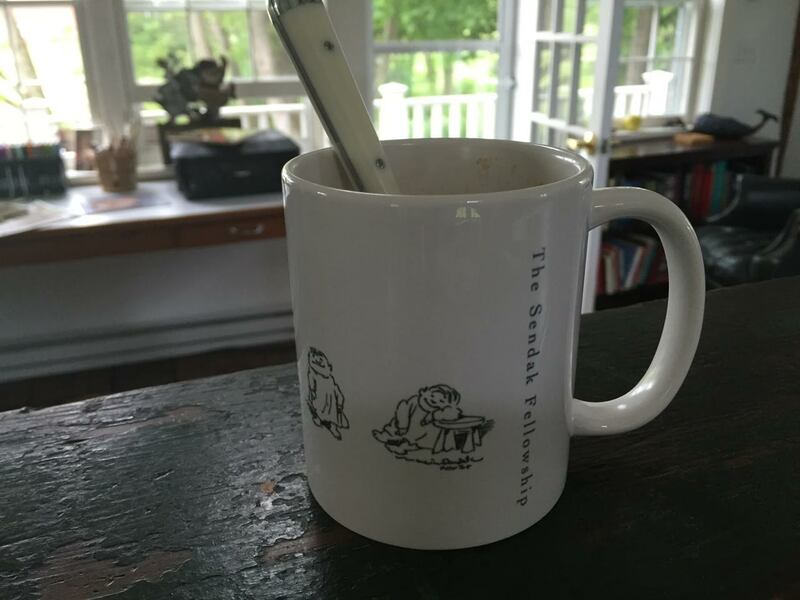 I’ve got a review here over at BookPage of Jeanne Birdsall’s My Favorite Pets: By Gus W. for Ms. Smolinksi’s Class, released by Knopf this month. 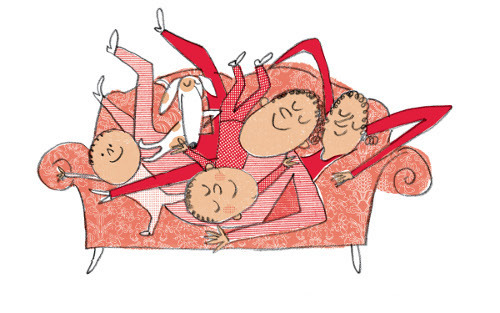 Here at 7-Imp today, I’m featuring some of the books spreads from Harry Bliss. 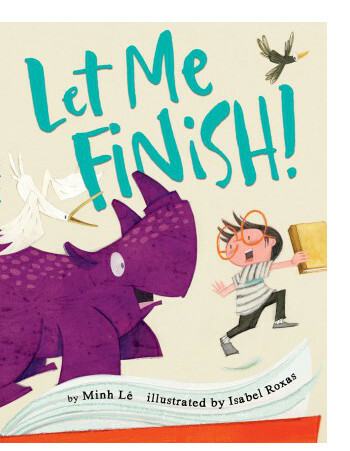 This morning over at Kirkus, I’ve got story time on the mind. That link is here. 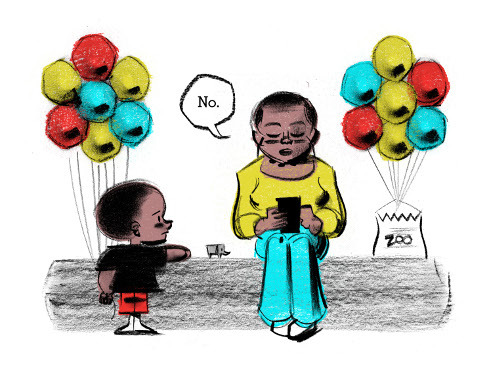 Last week, I wrote here about Dan Richards’ Can One Balloon Make an Elephant Fly?, illustrated by Jeff Newman (coming to shelves in August from Simon & Schuster). Today, I have a few spreads from the book, but Jeff also shares some preliminary images. I thank Jeff for sharing. Roxas has illustrated many books in the Philippines but currently lives in the U.S. and is here to talk about creating the illustrations for this one. I thank her for sharing. Let’s get to it.